Drive a stunning New Model Jeep Renegade 1.0 T3 GSE Longitude for as little as £150 a month. Based on a 3 year Personal Contract Hire. Based on 5000 miles per year. Finance Terms & Conditions apply. Excess Mileage charge 7.13 Pence Per Mile. Includes Renewal of Road Fund Licence, GAP Waiver, Roadside Assistance. All payments are inclusive of VAT. Subject to status. Or for a tailored quote please feel free to contact us and all orders are subject to a £199 processing fee. With everything from the updated wheel line-up to LED lighting, the New Jeep Renegade has the stylish looks that are equally at home in the city as they are on a mountain pass. You're never out of touch when you're out and about, thanks to Uconnect™ LIVE services. Giving you full access to your smartphone when you're at the wheel via touch controls, It works with Apple CarPlay® and Android Auto™. 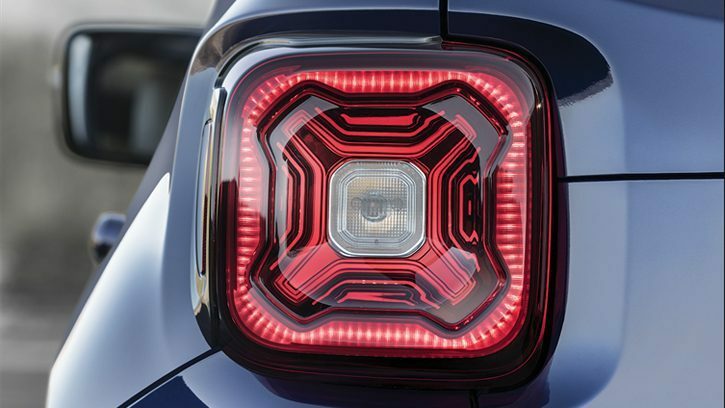 The New Jeep® Renegade is available with a choice of two 4x4 systems, both featuring a rear axle disconnect system to seamlessly switch between two-wheel and four-wheel drive. Helping to earn a Trail Rated® badge, the advanced Jeep Active Drive Low system on the Renegade Trailhawk® pushes the boundaries and enables you to do the same.